We continue to strive to provide you with excellent health care that is easily accessible therefore we now have a Blood Pressure Self Check Service. All adults can use this service and we especially encourage those who have previously been advised that their blood pressure is raised to do so. Anyone with diagnosed raised blood pressure or who has been found to have or to be at risk of developing any related conditions (heart problems, stroke, diabetes, chronic kidney disease, no “disease” but at increased risk due to smoking/cholesterol etc.) the machine will not replace your annual chronic disease health check (for which you should still receive a recall letter), but we encourage you to use the machine for BP check at 6months. Rather than needing to book and wait to see the health care Assistant you can simply drop in to use the Self Check BP Service which will save you time and ensure we have more appointments available. Please also use the Self check BP Machine whilst waiting for any GP/Nurse appointments (you can take the result in to the appointment with you). The reasons we place so much emphasis on detecting raised blood pressure and ensuring it is closely monitored are explained below – research evidence strongly supports the detection, treatment and close monitoring of raised blood pressure as a crucial means of reducing risk of serious and potentially life-threatening events. 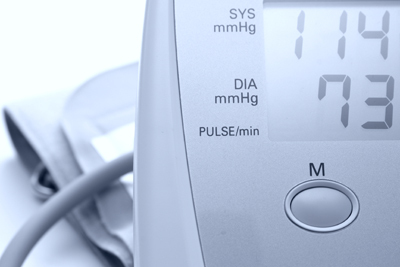 In the UK about half of people over 65, and about 1 in 4 middle aged adults have high blood pressure. High blood pressure usually causes no symptoms yet, over the years, may damage your arteries and put a strain on your heart. Having high blood pressure is on of the “risk factors” that can increase your risk of developing stroke, heart disease and other serious health problems. Remember -- No appointment is necessary – please use the machine whilst waiting to see GP/Nurse or to monitor your blood pressure if you have been advised to do so. Full explanatory notes for the use of the machine and what actions will be required depending on the reading are available with the machine.